Belle Noir Magazine | Big. Beautiful. You. : Belle of the Week: Kimbie A.
Belle of the Week: Kimbie A. Meet our Belle of the Week, Kimbie, CEO & Founder of the Kurvy Kuties. 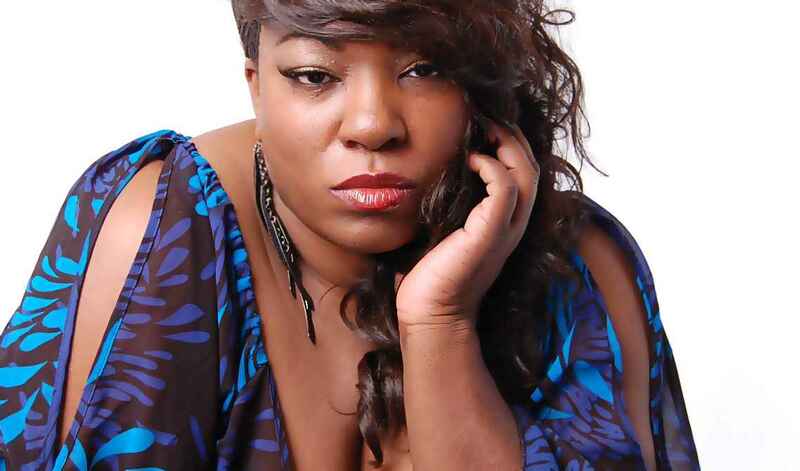 Kurvy Kuties began in Atlanta in 2004 on a mission to make the entertainment and modeling world aware of the full figured community and the talented and beautiful women who were a part of it. Kurvy Kuties believed that no matter what, it was imperative that companies marketing efforts and talent scouts included the full figured community when considering the direction they would take. Kurvy Kuties is based out of Little Rock, Arkansas (with an office in Atlanta, GA) and is ran by Kimbie A., known simply as Kwnn. Kwnn, who began her modeling career as a Belle-Noir Belle, is quite excited with the strides that have been taken by the full figured community, all aimed at celebrating and appreciating the full figured woman. With companies such as Curve Appeal, SizeRevolution, DiMension, Exotic Elegance, Page 303 Modeling and others, working each day to ensure that the full figured woman is heard and not over looked, the "shape" of things in the entertainment and modeling world is starting to look very bright! Kurvy Kuties continue to work hard on their mission. Comprised of models who act, sing, dance, perform spoken word, host events and more, they are also very focused on bringing the best events to their audiences. As the creators of Ms. Full Figured & Stylish, Model Mania, Explicit Lyrics, Little Rock Full Figure Fashion Week - The Kurvy Experience and many more, these ladies know about hard work, dedication and quality events that focus on elevating the full figured community. Stay tuned to these ladies as they turn the industry upside, one runway at a time! Keep up with the ladies of Kurvy Kuties on their website - http://www.kurvykuties.com/! Do you know a woman who should be our next Belle of the Week? Is that woman you? Email us at belle [at] belle-noir [dot] com for more information.